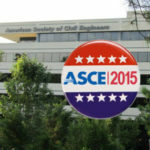 Are you interested in running for an elected ASCE office this year? In an effort to improve the overall election process and help all the newly elected nominees transition into their new position, the Board of Direction in July voted to authorize a change in the election process. Elections will now be held by electronic ballot from May 1 through June 1, with all the winners announced in early June. 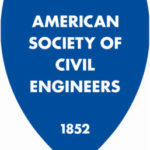 This process will not only allow for a smoother election but also let the elected individuals start making arrangements with their employer and family to begin their term of service – which will occur at the business meeting at ASCE’s Annual Civil Engineering Conference in New York City. This action will also allow the official nominees for president-elect to attend ASCE’s three Multi-Region Leadership Conferences in January. Of importance, individuals who are interested in running for president-elect or technical region director should now be aware that this modification in the election procedure moves up your timetable for declaring your intent to run for office. Any individuals wishing to pursue the office of president-elect or technical region director must declare their intent to do so not later than November 1 – one month earlier than in the past. If running for president-elect, your declaration must include a letter of intent, which should be sent to the Geographic Region chair and the society secretary and must also include your biographical and vision statements as well as a color photograph. If you are running for technical region director, your letter of intent must be sent to the Technical Region Board of Governors chair and the society secretary. 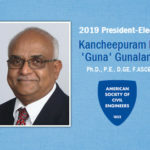 President-Elect: Voting Society member in good standing from any Geographic or Technical Region with prior service on the Board of Direction, or service as an Institute Representative to the Board of Direction between 2000 and 2005. This is a 3-year term serving 1 year each as President-elect, President, and Past President. Geographic Region Director: Society member in good standing, an Address of Record within the Region being represented, and prior service as a Geographic Region Governor. Any person who was inducted as Society President-elect or Vice President is ineligible for reelection as a Geographic Region Director. This is a 3-year term. Technical Region Director: Society member in good standing, and shall have served as a voting member on an Institute Board of Governors. Any person who was inducted as Society President-elect or Vice President is ineligible for reelection as a Technical Region Director. All other former Board of Direction members who were nominated by Districts are eligible to serve. This is a 3-year term. Region Governor: Society member in good standing, an Address of Record within the Region being represented, and prior service as a Section or Branch officer, member of a Section or Branch committee, or member of a Society-level Committee. 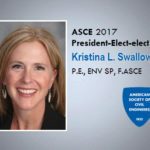 For specific information about all the elected positions, please read ASCE News. For more information please contact Patty Jones, ASCE’s director of Executive and Board Operations and special assistant to the Executive Director.